China is starting to lease land and develop its own huge mining operations in Australia. The country expects to mine at least 2 billion tonnes of ore from an opencast mine in the Pilbara region of northwest Australia. In return, Australia is guaranteed a continual source of royalties and taxes, and thousands of Australian jobs. China will provide the finance. 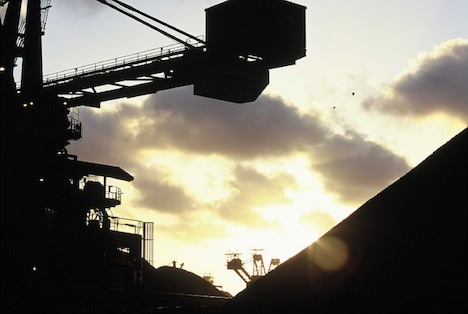 Another Chinese owned metals conglomerate has plans to develop a huge, controversial opencast iron ore mine about 400 miles northeast of Perth, Western Australia. Meanwhile, the Australian government is committed to initiating a carbon tax and cutting greenhouse gases. This is a goal that may be at odds with unprecedented boom in the energy-intensive Australian mining sector. China is leasing huge areas of land in Australia to secure a vital source of mineral resources, the latest sign of its acquisitive approach to the commodities trade. No longer satisfied with buying iron ore and coal from Australian mining companies, Rio Tinto and BHP Billiton, China is developing its own mining operations, funding a port with a mile-long breakwater jutting into the Indian Ocean. Citic Pacific’s Sino Iron project, in the Pilbara region in the north-west of Australia, illustrates the scale of Beijing’s ambitions. China expects to mine at least 2bn tonnes of ore from Sino Iron over the next 25 years. The open cast mine, which will become fully operational this year, promises to be the biggest magnetite iron ore mine in the world. The ore will be processed on site and brought to China on a fleet of purpose-built container ships. In return, Australia, already China’s biggest overseas supplier of iron ore, is guaranteed a steady stream of royalties and taxes. The project will also generate thousands of Australian jobs – China will provide finance and management, but not labour. The deal’s biggest winner will be Clive Palmer, the larger-than-life Australian entrepreneur who holds the lease on the mine. His partnership with Citic Pacific is one big reason why he is close to the top of Australia’s rich list. According to Palmer, his mining alliance with the Chinese has barely begun. He claims to control the mining rights to land which contains 160bn tonnes of iron ore – 100 times greater than the entire global output of iron ore last year. If China’s steel mills maintain current level of demand, Palmer is set to become an “Aussie oligarch” to rival Russia’s richest resource billionaires, a suggestion to which he responds with a smile. “I hope I’m nicer,” he says. Palmer commutes between Australia and his other home in Beijing by private jet, and boasts of friends at top levels in the Chinese government. Chinese banks seem to trust him. Last year, the Import-Export Bank of China made a bn loan to a Palmer-backed Queensland coal project which is supposed to deliver China’s power industry 1bn tonnes of coal in the next 30 years. But there are good economic reasons for Australians to worry. The windfall from the country’s mineral exports has strengthened the Australian dollar to a point where manufacturing bosses say their exports are becoming uncompetitive. In Perth, Australia’s mining capital, there are signs of a bubble economy. Restaurants and farms are struggling to find labour as unskilled workers flock to the mines, where the average annual wage is A8,000 (£69,000). A truck driver in the mines can earn more than a surgeon. Meanwhile, Australia’s prime minister, Julia Gillard, is committed to imposing a carbon tax and cutting greenhouse gases, goals that sit uneasily with the boom in the energy-intensive mining sector. Beijing seems to be treading carefully. Sinosteel, another Chinese-owned metals conglomerate, has plans to develop a massive opencast iron ore mine in the Weld range, a ridge of hills 400 miles north-east of Perth. Geologists believe it will yield up to 300m tons of high-grade iron ore over 20 years. But it is a sensitive project. The red-tinged rock is not just rich in iron oxide, it contains archaeological evidence from thousands of years of Aboriginal life. According to archaeologists, Wilgie Mia could be the oldest continuously worked mine in the world, proof that for 10,000 years, indigenous Australians have been digging holes in search of mineral riches. Now the Chinese are on a similar quest. • An episode of Stephen Sackur’s Hardtalk, examining the Australian mining industry, is on the BBC News channel today. Next post: 1 Billion Obese People, 1 Billion Hungry People: 2 Sides Of Same Coin?